In a season where there is more physical and emotional challenge than usual, it helps to think of others who are also in need. So many wear smiles on the outside yet feel broken inside. So many give and give and give some more until they are left as limp, worn-out rags. It can take all the courage we can muster just to face another day. And often the most holy thing we can do is just to take a nap. A heart can ache heavy with unspoken fears and cares. We can feel alone in a sea of faces. We can move heaven and earth for our loved ones only to be rejected or neglected. Try as we might, we cannot suppress all the pain we carry. As I reflect more on my life in an effort to hear all God may be saying to me, I find myself thrown to my knees more often than not. And there I discover the One who inhabits all the hard places we find ourselves in. 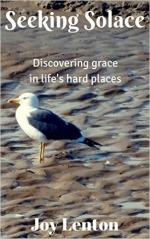 God’s grace crawls into every crack and crevice of our days. All the mess and mayhem, muddle and struggle are known to Him. 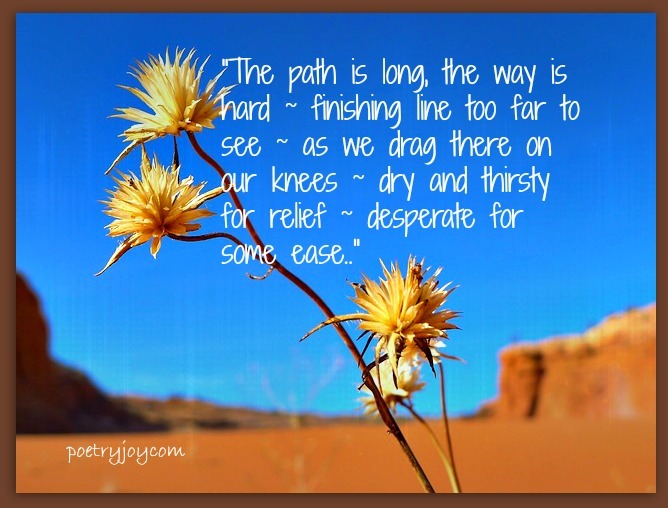 This poetic prayer lament appeared first on Words of Joy. It is a heart’s cry God delights to answer. Hungry, hurting hearts will always find grace to help in time of need. May it bless you to read it here and remember that God is with you in every trouble, trial and testing. If you would like me to pray for a specific need, please reply in the comments below. And keep in mind that God loves you so much, just as you are ~ He really does ~ and wants above all things for you to seek His face in the everyday challenges of life. These words today remind me once again that there are many wounded warriors need our prayers, they may fall yet get up to go on again – God is there for them in the midst of the battle and reaches to meet their need . Dear Joy. In this world of turmoil scraps, there is so much hidden hurt and weariness. Such a powerful verse of love and prayer. I join my voice and pray for another touch from the Lord. Through the blue skies of tomorrows, and the veiled valleys; may the ‘ONE” who knows all bless each weary soul with dew drops of blessings. I am always so moved by your God inspired words Joy. God bless you richly. Beautful prayer poem…it is like a Psalm of the Hurting to help them carry on.